There have been several Bigfoot reports in the past few years from residents near the Tallapoosa County area in Alabama. In 2012 we broke the news reports about the strange sightings in Hale County and followed the story closely. As with all stories regarding the wandering ape-like creature, this one also fizzled out without much more information. The 2012 Hale county sightings offered no real leads or information other than witnesses reporting a large gorilla ‘on the loose’. Fast forward two year, present day, and more Alabama strangeness is being reported. This time, Bigfoot researcher Jim Smith from the Alabama Bigfoot Society became a witness to what others have seen. 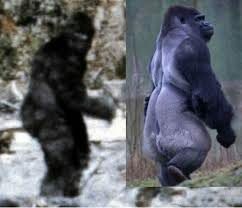 “Big Joe’ was spotted twice within about a 4 week time,” said Smith, 58 and founder of the Alabama Bigfoot Society. 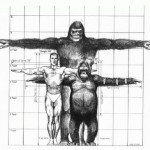 Posted in BigfootTagged Alabama, Sasquatch, Cryptozoology, 2014, alabama bigfoot, alabama gorilla, AuburncommentLeave a Comment on Alabama Sightings: Gorilla or Bigfoot ?